Hi. 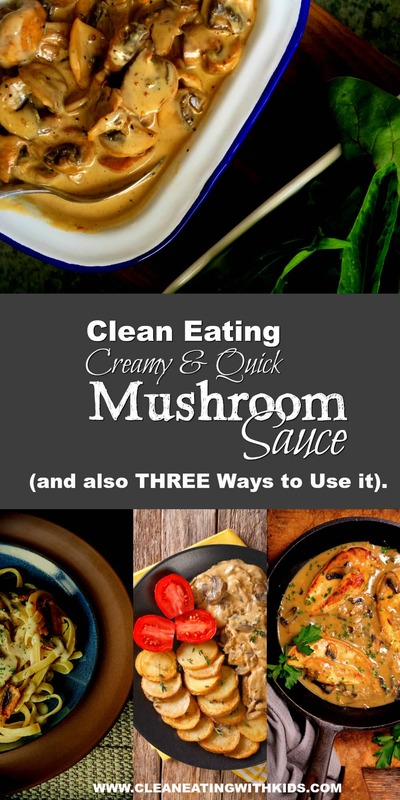 If you are here for the mushroom sauce, then scroll down and skip the next 356 words of venting about a crappy week. This has been the longest week. Ever. And it’s still not over. I don’t know if I’m going to keep sane until the weekend. The alarm went off this morning and I hit the snooze button. Twice. I would have gone for the third time, but the ducks were making a massive racket. They heard my alarm and it meant breakfast was coming. They can be very persuasive. Kids are a little crazy at the moment. I swear my 11 year old is having the most historically epic ‘welcome to puberty’ month. She is like a permanently Poked Bear – who is also doing most of the poking. Both of my sons are wisely avoiding her, but my oldest daughter (who shares a room with the Poked Bear) is not going to let her get away with it. Oh no. Whew. Petrol to a flame, baby. And to add to the household drama, we lost Missy Moo, our fostered Guinea Pig, this week. We got her as an adult and have had her for two years so I was never sure of her age. Took me a bit by surprise too. I really love those little fluffy cuties. We have a family tradition that’s developed when one of our pets die. We go to our local nursery and buy a plant that reminds us of the ‘no longer with us’ pet. It gives us all a little closure and somehow helps the kids deal with it a bit better. In this case, the kids chose a young Jacaranda tree – the curly leaves reminded them of her fur (yeah, that got me. Put it in the car). This is now planted way too close to the house and will be another problem 10 years from now when it reaches 15 meters in height (and according to Google) with a spread of about the same. Finally, I’ve got to make a decision about Fluffy Feet (our sick Ram). The Vet doesn’t know what’s wrong with his leg, and he is still limping a bit. Do I leave him or do we end it? Husband is already eyeing out that mint sauce is the fridge. I think I’m going to make my decision on Saturday. Okay. Done. 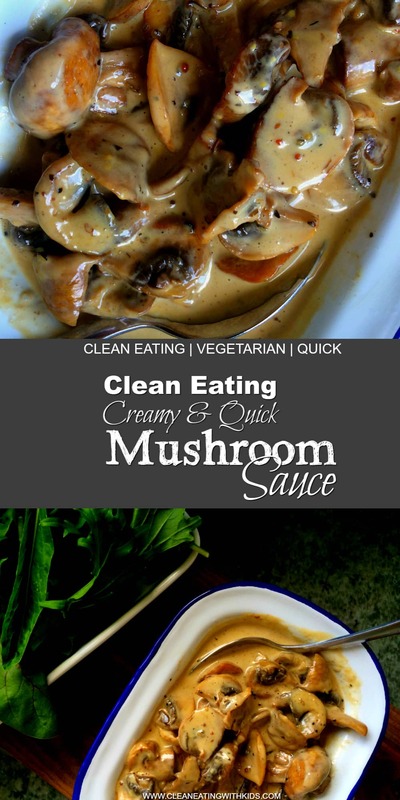 Back to the Mushroom sauce I promised ….. 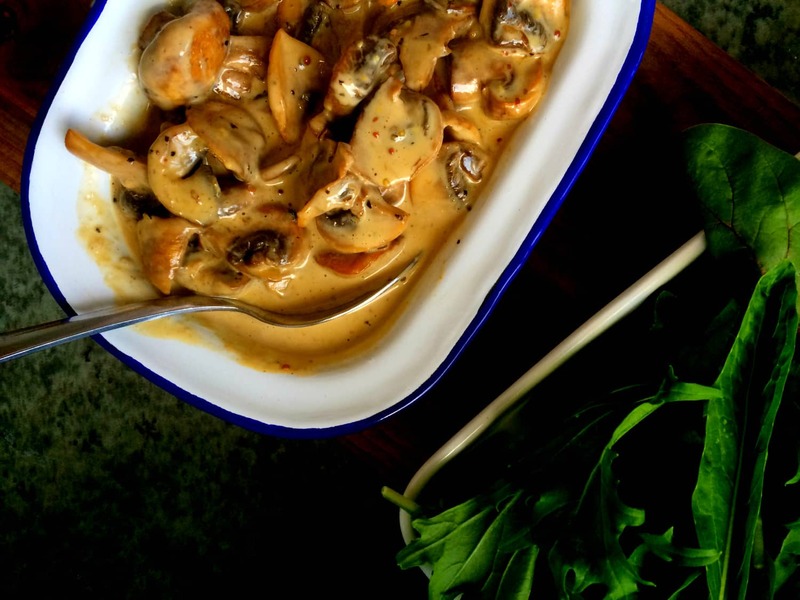 This is the mushroom sauce that works with everything. Seriously. Everything. We have this on pretty much anything we can think of. Smothered over steak, beef burgers, chicken burgers, pita pockets, baked potato, grilled chicken or stirred through pasta. You can even pour it over some whole wheat toast for breakfast. 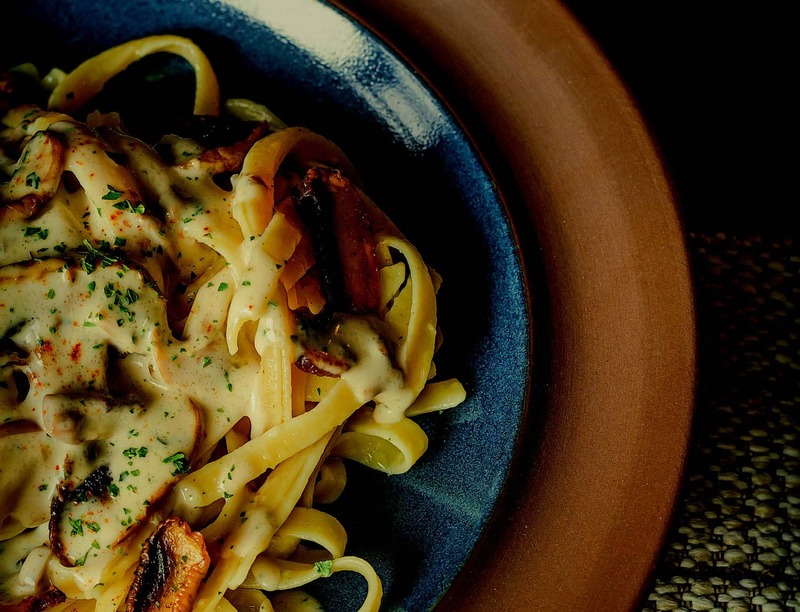 Boil your fettuccine in a large pot of water. Once cooked, drain and stir mushroom sauce through it. Serve with a salad and my favourite garlic bread. Preheat Oven to 400F / 190’C. Slice potatoes in chunky rounds and place evenly on a baking sheet. I use non stick paper for an easy clean up. Sprinkle with salt and a little olive oil and bake for 15 – 20 min until golden. We have a little gas Barbeque on the porch which we use two to three times a week. We use this to grill meat so that our little house doesn’t get all smoky. 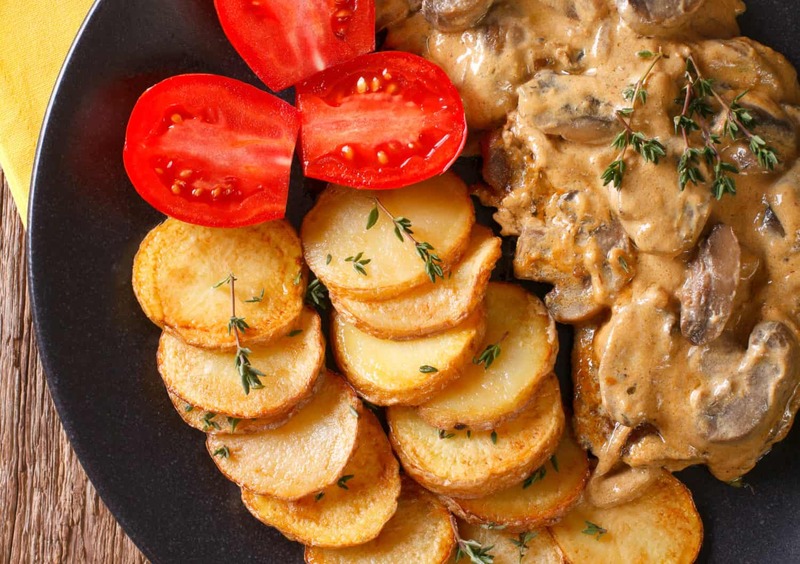 Grill your steak and smother with mushroom sauce. Serve with a little salad on the side. Heat up a large fry pan. Add a little olive or coconut oil. Fry your chicken slices until lightly golden on both sides. 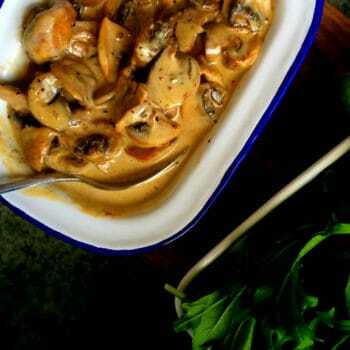 Remove from pan and make mushroom sauce as described in recipe below. Return chicken to pan and serve. We like to serve this over mashed potato with green veggies on the side. Heat up a pan on the stove. Add butter and mushrooms. 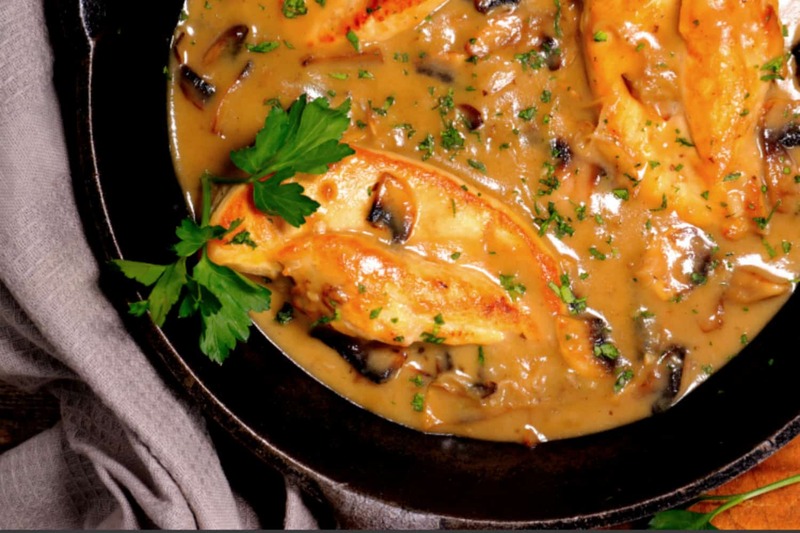 Fry until mushroom juices have evaporated and mushrooms begin to brown. Add cream, mustard and salt and pepper. Allow to simmer for 5 minutes until cream has reduced and sauce thickens. Remove from heat and serve. OPTIONAL: We add chilli flakes for a little hot kick.